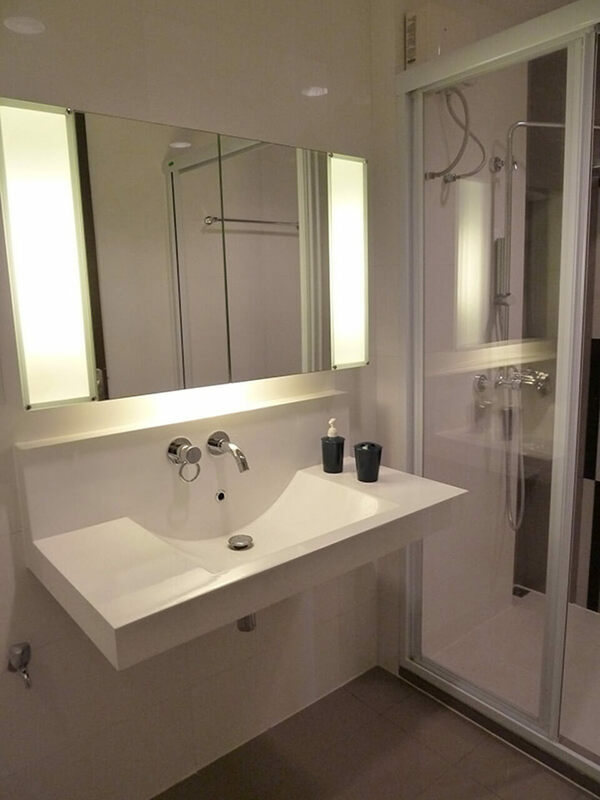 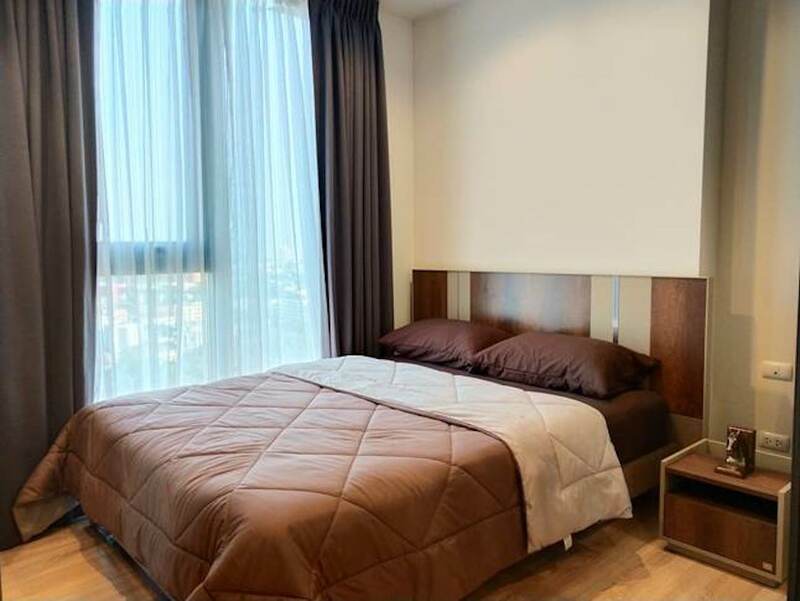 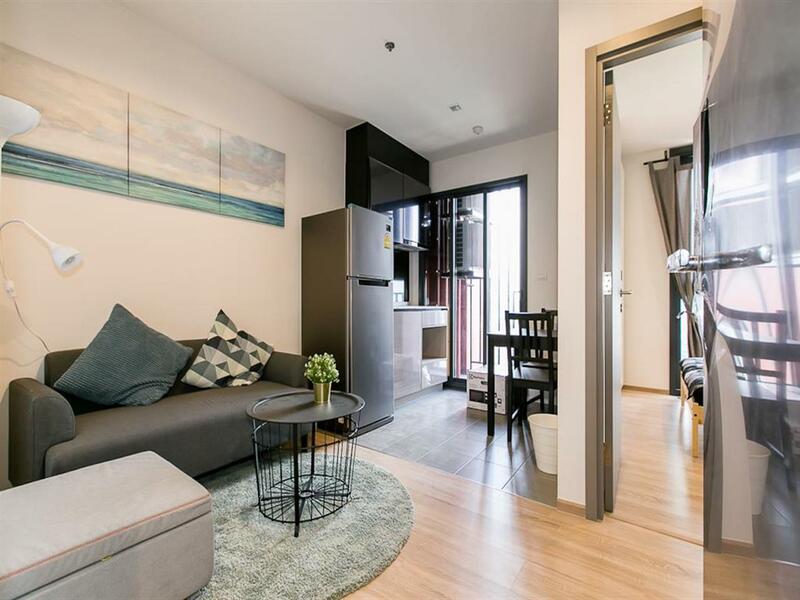 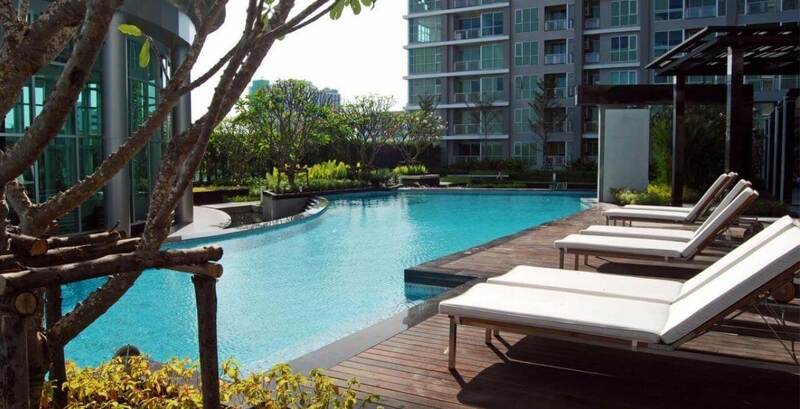 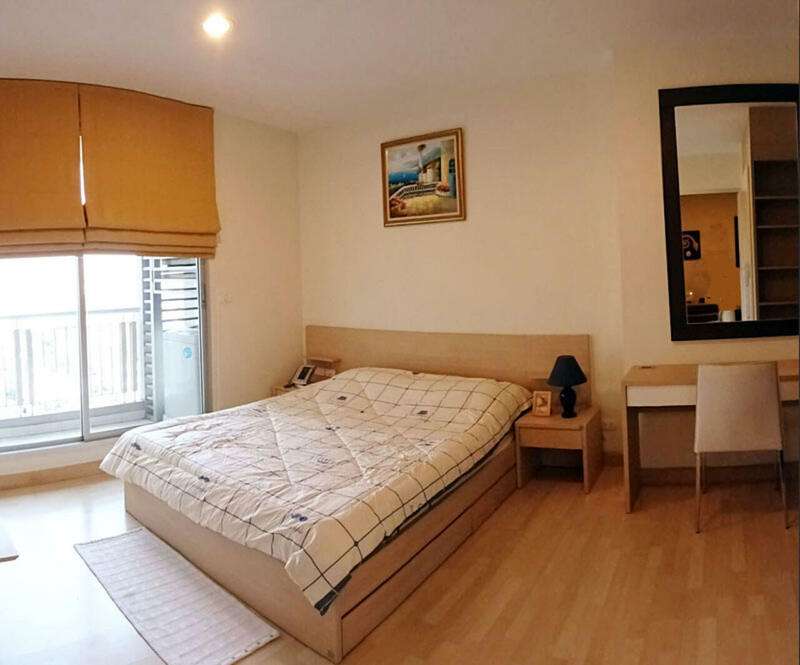 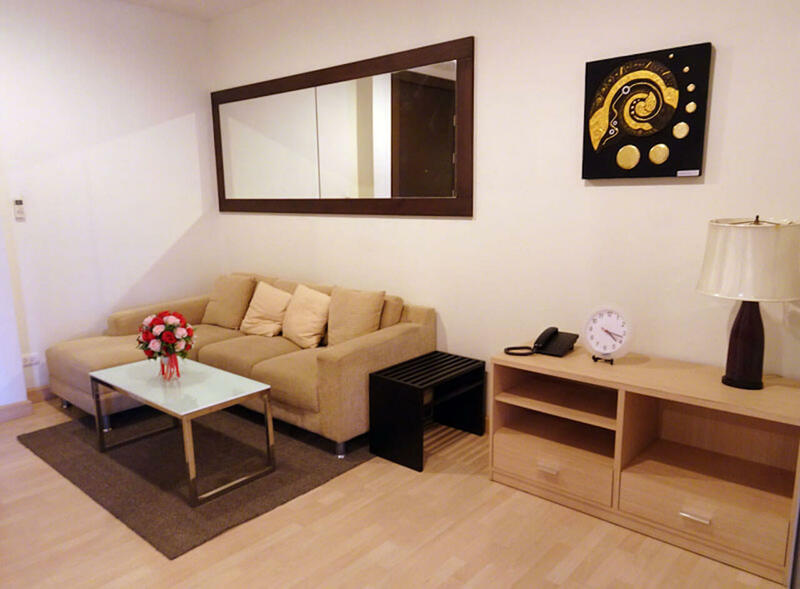 Very spacious one bedroom apartment located only 410m from the MRT Station Ratchada. 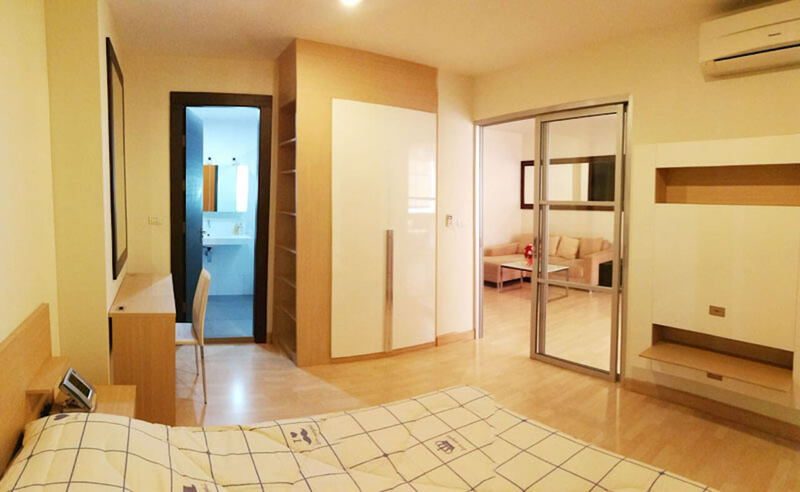 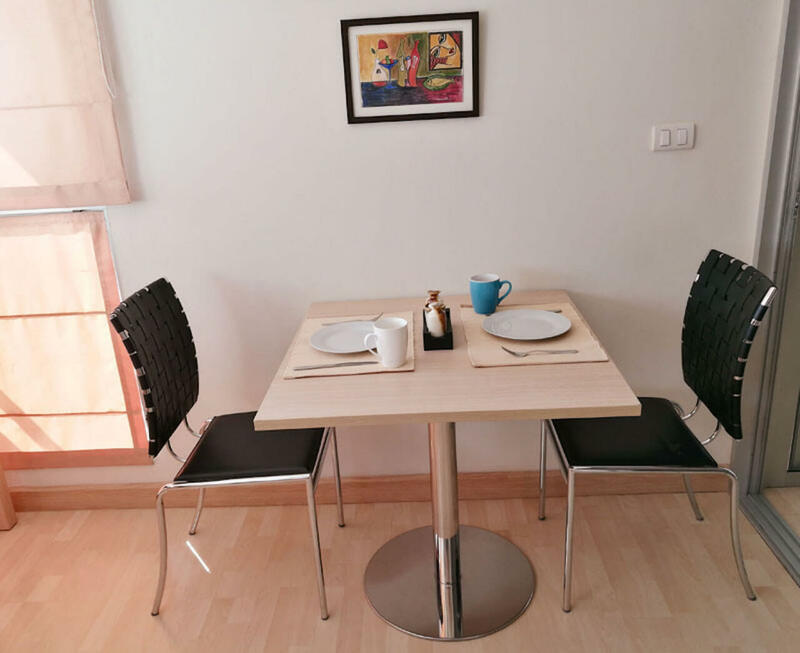 This unit is 46m2, fully furnished – including fridge / freezer, cooking hob, microwave, washing machine and 2 TVs. 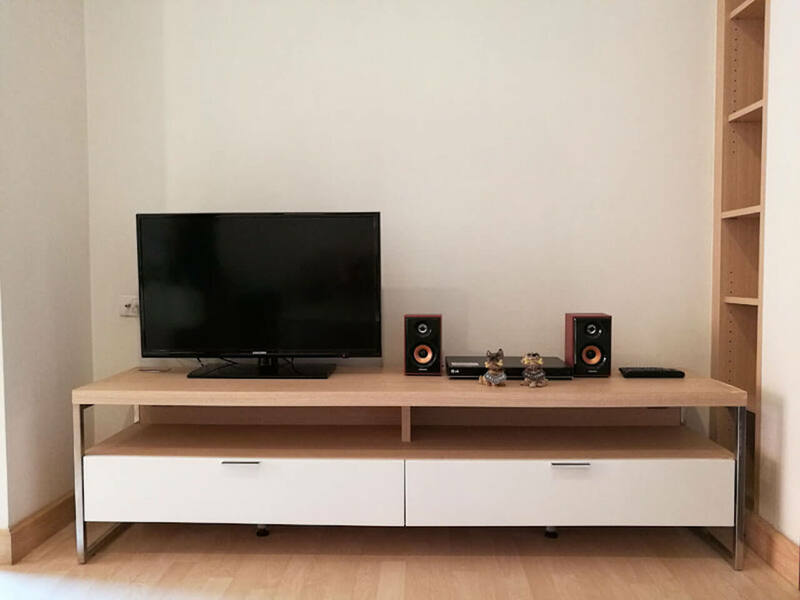 Large storage space. 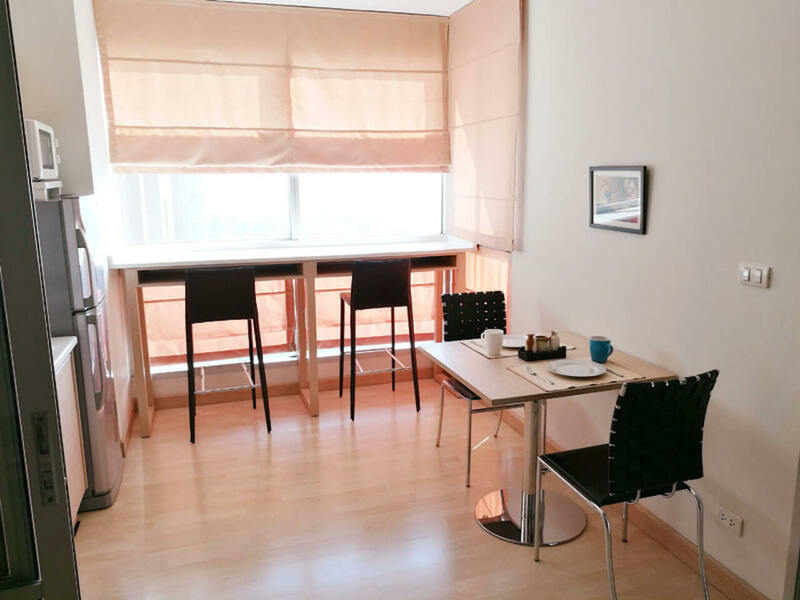 Dining Table, Large Bar Table with amazing view and make-up table. 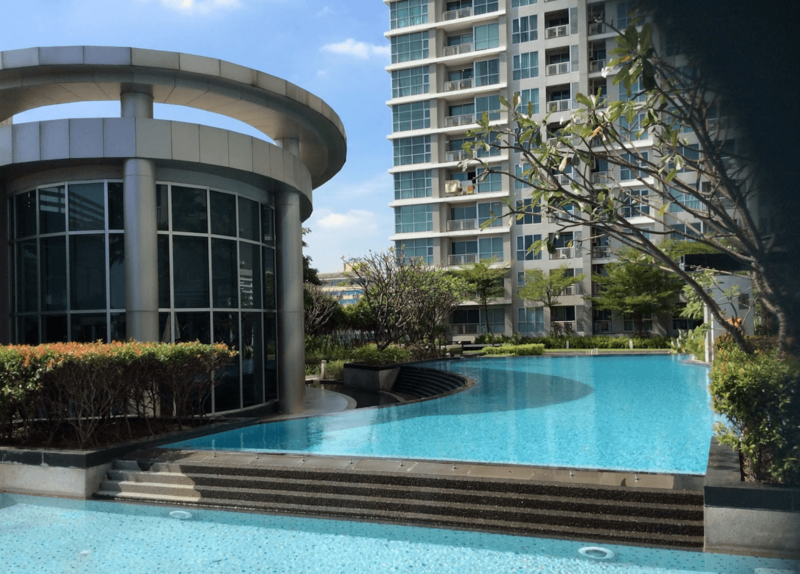 This unit is located on 12th floor with swimming pool view.